Since its inception in 1989, IPA has been serving clinical research and biological markets worldwide. 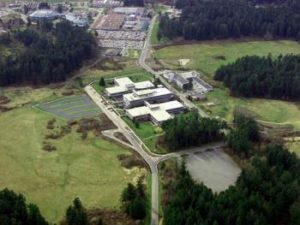 With its beginnings in the Biochemistry/Microbiology department at the University of Victoria, IPA expanded and built a new Hybridoma Facility, at the Vancouver Island Technology Park (VITP) in 2005. Robert Beecroft, Chief Technical Officer and Founder, has implemented 3 key methodologies that have allowed IPA to be set apart from other antibody companies: 1) the Rapid Prime immunization strategy in mice; 2) Single-Step cloning for HAT selection of hybridomas and 3) RMAT –recombinant monoclonal antibody technology for the generation of rabbit monoclonal antibodies. IPA uses proprietary and innovative inoculation and cloning technologies and established expertise to produce mAbs significantly faster than traditional methods of antibody production and has used these capacities to produce hundreds of mAbs, many of which are now being sold commercially through industry partners. We have an in-house animal care unit, tissue culture facility and a molecular facility. Project personalization starts with a dedicated Principal or Senior Scientist as your project lead; to help manage your project today as well as all of your future pipeline custom mAb development needs. Taking this approach enables us to rapidly build a constructive professional working relationship based upon project data driven communications and collaboration. Our belief in actively investing in our client relationships has greatly aided us and our clients grow over the past 25 years through successful, high quality project outcomes. IPA uses proprietary and innovative inoculation and cloning technologies, as well as established expertise, to produce mAbs significantly faster than traditional methods of antibody production. With these capacities IPA has produced hundreds of mAbs, many of which are now being sold commercially through industry partners. To service your most difficult projects, our lab operations have been structured around providing project flexibility with the ability for in-process project add-ons. Additionally, we have established specific client touchpoints to review preliminary project results and discuss any changes to project direction to help clients get the most out of their investment. ImmunoPrecise is pleased to be a new preferred OmniAb® service provider. We have successfully adapted our Rapid Prime immunization strategy and our antibody development platform to OmniAb® animals for delivery of a diverse repertoire of antigen-specific antibodies with an industry-leading timeframe. Ligand Pharmaceutical’s OmniAb® transgenic rodents – OmniRat®, OmniMouse® and OmniFlic® – produce highly diversified antibody repertoires and offer accelerated discovery of fully human antibodies that are naturally optimized in vivo for manufacturability, therapeutic efficacy and reduced immunogenicity. ImmunoPrecise’s proprietary immunization and development platform works directly with OmniAb® animals for human antibody discovery. Based on hybridoma technology, our platform includes isolation of clones from semi-solid medium. We have the capability to perform a variety of immunization protocols with OmniAb® animals including protein, peptide, DNA, or whole cell immunization. By establishing a collaborative workflow between the client, Ligand, and the breeding facility, we can take a project from a target sequence to immunization, fusion, screening and delivery of the desired antibody. Let our team of experienced scientists work with you to customize your human antibody development campaign. We custom develop mAbs to an array of antigens including peptides, modified peptides, recombinant proteins, DNA plasmids, small molecules and anti-idiotypic antibodies. Rapid Prime is ImmunoPrecise’s proprietary custom monoclonal antibody development service. This rapid immunization strategy saves weeks in development time. When coupled with our Single-Step cloning procedure, positive hybridoma cell lines are identified in 65 days. This rapid immunization procedure does not compromise on affinity. It consistently generates large numbers of IgG clones specific for antigen. Click here for more Rapid Prime information. ImmunoPrecise’s custom standard monoclonal antibody development service is the gold standard in antibody development. Intraperitoneal injections and a choice of adjuvant is available to suit the client’s specific needs. When this traditional immunization procedure is coupled with our Single-Step cloning method, weeks are shaved off the timeline of monoclonal development. Click here for more Standard Method information. ImmunoPrecise is excited to offer custom Rabbit Monoclonal Antibody development service using RMAT (Recombinant Monoclonal Antibody Technology). This proprietary technology screens the immune repertoire of the rabbit creating the power to select the desired antibody directly from B cells. ImmunoPrecise is excited to offer recombinant protein expression and production services. Our proprietary expression technology is designed to deliver fast and large-scale production of (mammalian) recombinant proteins and antibodies for research and pre-clinical applications. Transient mammalian recombinant protein production in HEK293E and HEK293ES (N-linked glycosylation deficient) cells using the r-PEX platform. Stable protein production in HEK293E and HEK293ES cells. Recombinant protein production in Escherichia coli or Pichia pastoris. Recombinant antibody development and production via the r-Ab platform. Jennifer holds a Ph.D. in Cellular and Molecular biology from North Dakota State University, and a Bachelor’s degree in Biology, with an emphasis on human genetics, from the University of Kansas. She began her career in academia, and moved into industry after a 15-year appointment as an Associate Professor of Cellular and Molecular Biology at Concordia College, Moorhead, Minnesota. She was the Founder and Executive Director of the Concordia College Global Vaccine Institute; whose mission is to prevent and treat neglected tropical diseases. Jennifer has broad experience in vaccine and therapeutic design, development and testing. Dr. Bath served many guidance roles in industry including advising on the Economic Development Corporation’s Strategic Planning Initiatives, consulting biotechnology and pharmaceutical companies on strategic and operational business practices, and providing governance for workshops in technology entrepreneurship. She has established relationships with leaders in the fields of therapeutics and vaccinology, enhancing collaborative developments and partnerships in discovery. Jennifer served in an executive role at Aldevron, LLC, as the Global Director of Client Relations, where she held both strategic and technical roles. She headed the global sales and client relations teams, and defined business strategies by applying knowledge based on the science, technology and the market. In addition, she served as a key technical specialist, particularly for therapeutic antibody discovery, and was responsible for retention and growth of the existing client base through individual efforts and efforts of the management team to deliver profitable, quality services. Teri Otto joined ImmunoPrecise in 1997 as a co-op student and continued as a fulltime employee upon graduation in 2000. She began as a technician and animal care manager. She has been a key part of developing ImmunoPrecise’s successful laboratory operations and antibody engineering capabilities, particularly in the area of mouse hybridomas. Ms. Otto served 17 years in directing laboratory operations and project management before leading IPA’s Marketing and Sales team. She now serves as the General Manager of ImmunoPrecise Antibodies’ Victoria site, where she oversees all business units. Ms. Otto holds a B.Sc. (with distinction) from University of Victoria in Microbiology and Associate Degrees in Psychology, Biochemistry, and Applied Chemistry from Camosun College in Victoria, BC. Dr. Dryhurst joined ImmunoPrecise in 2010. She received an NSERC Industrial Research and Development Postdoctoral Fellowship to work on a platform for rabbit monoclonal antibody development at ImmunoPrecise Antibodies where she was key in the development of IPA’s B cell technology. Rabbit monoclonal antibodies are now a key part of what ImmunoPrecise provides to its clients. She is currently in charge of R&D at ImmunoPrecise where she is responsible for the prioritization of research projects, alignment with corporate strategy, and developing new product introductions. She received her B.Sc. in Biology, and her Ph.D. in Biochemistry and Molecular Biology from the University of Victoria. As the Chief Technology Officer of ImmunoPrecise Antibodies, Chip Wheelock is responsible for overseeing all information technology aspects of ImmunoPrecise Antibodies. Mr. Wheelock works closely with the other members of the Executive Management team and unit business leaders to grow the company through the use of software and technology services. Using an active and practical approach, Mr. Wheelock directs all employees in the Information Technology departments to attain the company’s strategic goals and establishes the company’s information technology strategic plan. Mr. Wheelock oversees all aspects of Information Technology where he provides leadership for continuous innovation of a wide array of technological systems across all of IPA’s businesses. He works closely with the individual business leaders to ensure that the technology and collaboration systems increase efficiencies and focuses on creating a competitive advantage through the innovative use of technology. Mr. Wheelock brings a diverse background to IPA, he has held leadership positions within the software development and services industries over the past 25 years encompassing global ERP deployments, cloud transformations and building strategic line of business applications. Mr. Wheelock’s experience includes 16 years at Microsoft in various roles, most recently as a Senior Global Technical Account Manager, where he drove both strategic and technical initiatives for many large organizations. Mr. Wheelock holds a Bachelor’s degree from the University of Kansas along with several industry and project management certifications. Robert Beecroft founded ImmunoPrecise in 1989 and previously served as its Chief Executive Officer and President. Mr. Beecroft has over 25 years’ experience in the development of innovative and proprietary methods for the production of monoclonal and polyclonal antibodies and peptides. Mr. Beecroft has a B.Sc. in Microbiology from University of Victoria and has been involved in over 15 Research Projects over the course of the last 25 years and been an instructor for graduate students at the University of Victoria on the use and production of monoclonal antibodies for over 13 years. 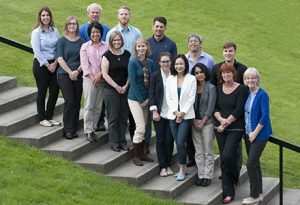 In 2015, Mr. Beecroft was the recipient of the UVic Distinguished Alumni Award for the Faculty of Science, in recognition for being the Founder of ImmunoPrecise Antibodies Ltd.
Kari Graber serves as the Director of Global Project Management for ImmunoPrecise Antibodies and is responsible for the overall leadership and implementation of the Project Management program throughout IPA’s global family of companies. She has over 20 years of experience in developing, implementing and directing laboratory operations, quality assurance, regulatory compliance, and supply chain management programs for various food manufacturers and spent five years as Sales and Technical Director for a pasteurization/sterilization technology and equipment supplier. Prior to joining ImmunoPrecise, Ms. Graber served at Aldevron LLC where she held a client relations management role for their antibody services platform. Kari holds a Bachelor of Science in Food Science & Technology with a Minor in Microbiology from North Dakota State University.